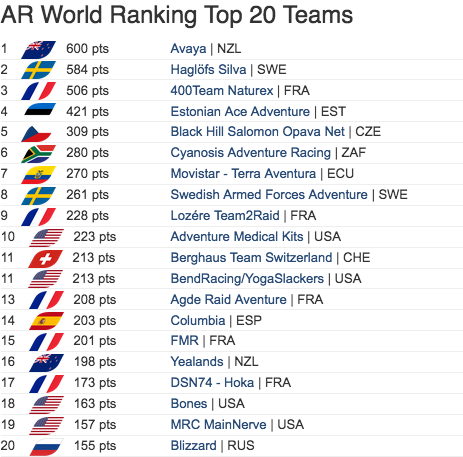 Just after the World Championship in Reunion, the new world ranking ARWS is out. Five French teams are now in the Top 20, which puts France ahead of the nations, just in front of the United States. 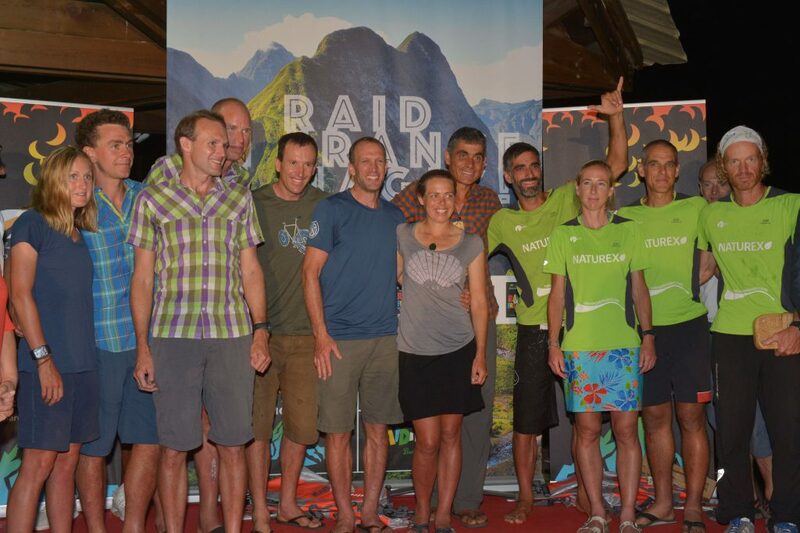 There are only four teams left in the race this morning, including the Belgian Team Belgium and the local adventure team, Run Zourit, who will cross the finish line at the Corail village around 10am. Led by the legendary Daniel Masy, who competed in the 10 Raid in France and several Raid Gauloises – at the origins of the sport – the Belgians are regulars of adventure races. 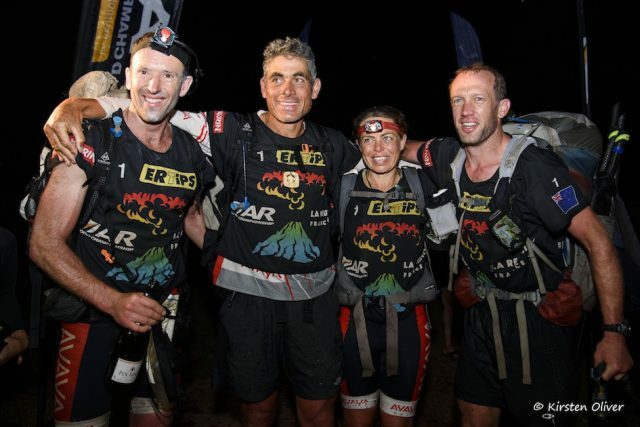 The Reunionese team Run Zourit, for their part, are running a magnificent race. 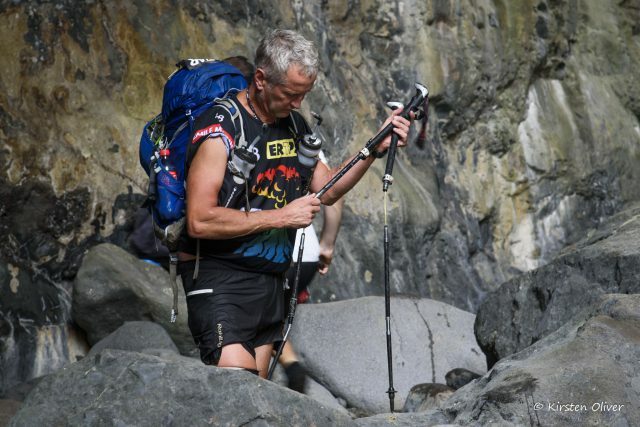 Indeed, they might be amongst the last ones to cross the finish line but they have competed the entire course, which puts them in the Top 30 of this Adventure Racing World Championship. It is a real achievement that Olivier Gautier, Thomas Barbereau, Loïc Hue and Alexandra Renaud have done there. This strange law has once again been confirmed at this world championship: the back and middle teams of the ranking suffered today! And the organization was on tenterhooks to find solutions to ensure the safety and the rest of the race. “The weather won’t necessarily get better tomorrow, so we decided to take early action’’ explained Pascal Bahuaud, the race director. First decision: the sea kayak portion between Saint-Pierre (AT7) and L’Etang Salé (CP17) was removed. The teams are now starting the kayak section from L’Etang Salé towards Saint-Leu (AT8). The teams affeted by this decision are the following ones : Arverne Outdoor Inoprod (33), TUC Tri Absolu Vaincre la Muco (38), Adeorun (26), Vertical Dissidents (43), Outdoorvalley DSN74 (49), XTT Raid 63 Le Mont Dore (41), Uruguay Natural US (16), Team Belgium (48), Stomlonauts (45), Creps Auvergne-Rhône-Alpes Ternua (61), Los Bomberos 81 (47), Olympus Red Ants (59), Intersport DSN-74 (42), Run Zourit (5). But beware, not all these teams are in the same boat : some are still racing on the full course; others have been caught up by the time zones (cut); and others are out of the ranking because they are progressing with three teammates only. On Tuesday, November 14th, a challenging day awaits the middle teams of the ARWC 2018 on the island as the team DSN74-Hoka (17) just crossed the finish line and ranked 9th. 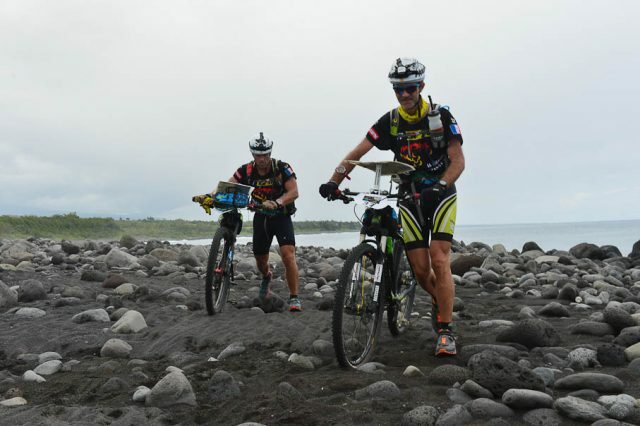 Those still on the last mountain bike section of Maïdo or the ones on the sea kayak section, they will have to manage their effort, energy and their impatience to arrive. 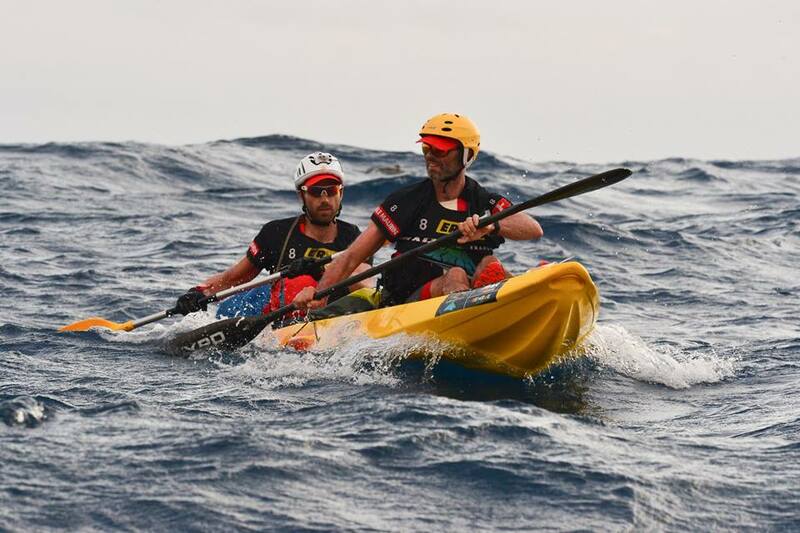 For the teams who have not yet reached Saint-Pierre – the city where the sea kayak starts – the challenge will be to find the cuts installed along the race. These cut-off time points allow teams to cut some sections of the racing track and push them further to finish line. A first cut (C) is scheduled tonight at the Transition Area 5 (AT5) in the Piton de la Fournaise at 10 pm. We already know that the back teams not embarking on the kayak section by noon tomorrow won’t make it on time for the following cuts. Therefore, the stakes are high for the racers who are still on the mountain bike section of the Fournaise. Further down the rankings, seven teams were taken by the organization from TA4 (Saint-Philippe) to TA6 (Saint-Pierre) yesterday: the teams 40, 44, 46, 50, 54, 55 and 60 (other are being transferred: 43 and 49). They left early in the morning to the Coral Village. The second place of this Adventure World Racing Championship resulted in a sprint. 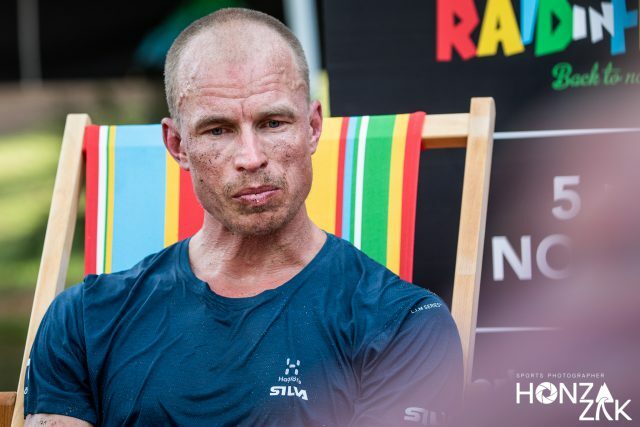 After five days of progression in the Reunionese jungle, from one river to another, from volcano to volcano, the final sprint took place on the Hermitage beach and there was only a two minute difference betwen de second and the third team. Haglöfs Silva took the second place of the podium and 400Team came in third. 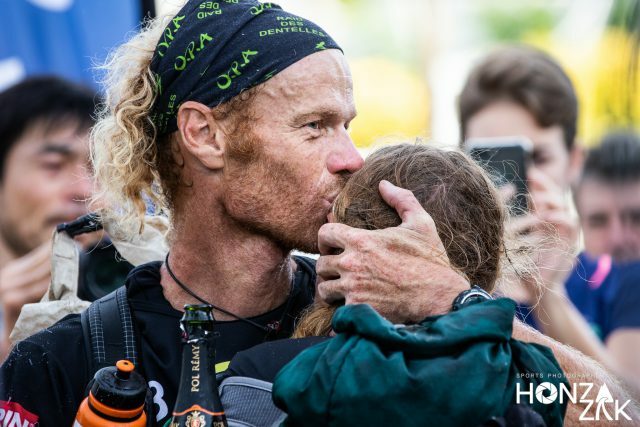 The two teams were in a daze when they reached the finish line, exhausted but also moved by this strange finish line in such a particular context. “This was a crazy Raid and a crazy final” said Sébastien Raichon, 400Team Naturex captain. We have been training for this Island for years and we knew this race was made for us. From the packraft, the volcano ascent, coastering after l’anse des Cascades, the ride up to the Maïdo in mountain bike; even if barely managed to put one foot in front the other… it was awesome”. 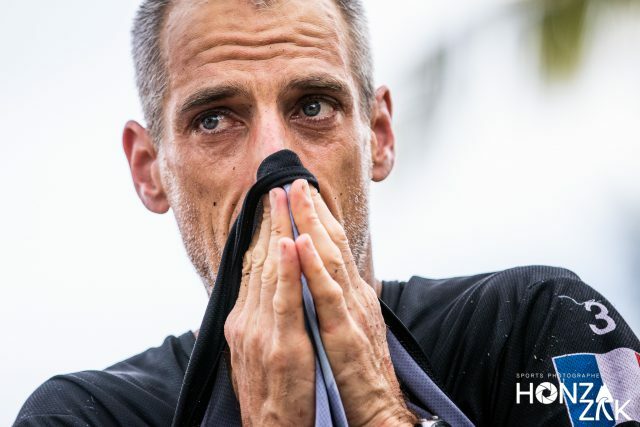 Extremely exhausted and moved, Nicolas Seguin nicknamed the Phoenix by his teammates because of his ability to rise from the ashes, reassured the public, the volunteers and the families present on the fact he will enjoy this third place. This is the first time ever that 400Team is medal-winner on an Adventure Racing World championship. 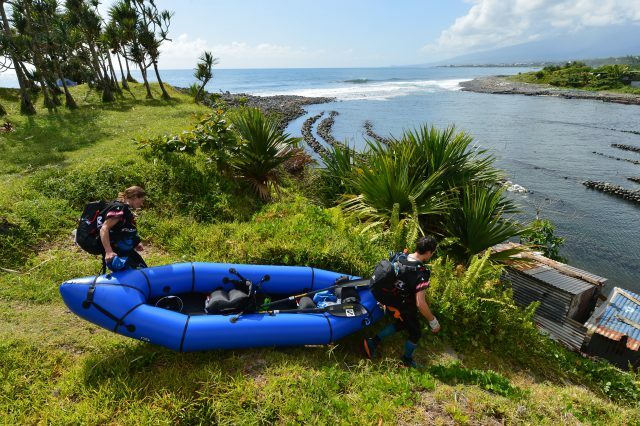 In this fourth day of race, the teams were all gathered in the eastern part of the Island: the front teams have begun the ascent of the Piton de la Fournaise whereas their pursuers were still in the packraft section on the three rivers between Saint-Benoit and Saint-Philippe with a stop via Anse des cascades. The Progression speeds quite stick to the forecasts, even if Avaya (1) team, several time world champion, seems to be on a roll. In one day, they went down the entire east coast by mountain bike or by foot, they went along the most recent crater hole formed by the Piton de la Fournaise (called enclos Fouqué) and they rode along the Rivière des remparts passing through the Mapou lava tunnel cave. In total 120 km with one single goal in mind: reach the city of Saint-Pierre where the sea kayak section starts, because on this 37km kayak section to Saint-Leu, navigation is only allowed from 5:00am to 7:00pm. Behind them, podium seems to take shape with the French 400Team nature (3) and the Swedish Haglöfs Silva (6), followed by 9 teams including Estonian Ace Adventure (4) and the Chinese The North Face Adventure Team (34), who are doing a beautiful race. A dozen of mid-ranking teams had not started yet the ascent of the Piton at the end of the day. While the back teams were ready to spend a night of rest on the East rivers which is closed to navigation at night. On today’s withdrawal list, one may find: the Swedish Armed Forces Adventure team (5), Oskar Svärd fell off his mountain bikes and broke his rib; My Tower Aquitaine Safety team (37) because of a leg pain for Olivier Mariande (his teammates are continuing the race); and the Racing Denmark Adventures team (51) for overall tiredness of all teammates. Today the front teams will meet the island star. 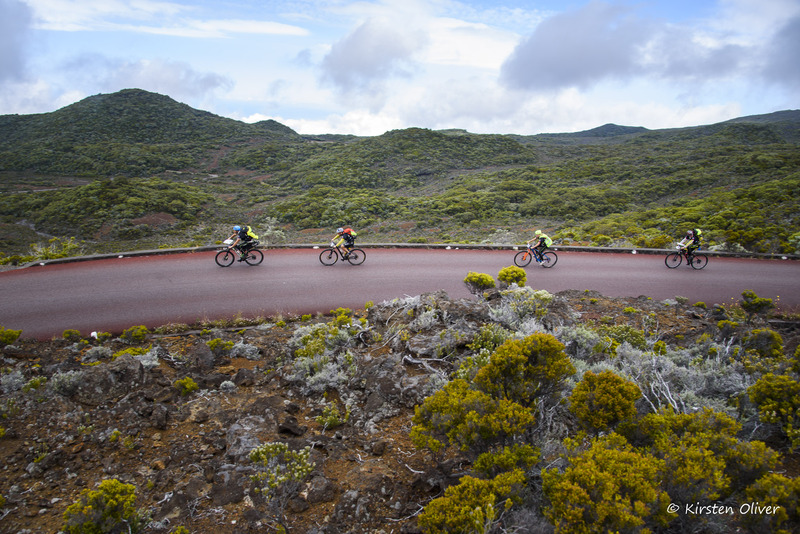 The third section of trek (37 km and 3 150 meters of elevation gain) will lead the racers at the top of the Piton de la Fournaise (2632 meters). This section deemed difficult will take the teams to very wild paths in an unreal scenery of great beauty: the Plaine des Sables, a vast lunar expanse of golden brown and reddish reflections delimited by two ramparts named Rempart des Sables and Rempart du pas de Bellecombe. New Zealanders’ Avaya (1) began their ascent at 8:07, followed by the French 400TEAM Naturex at 9:29 am. Behind, 8 teams led by Haglöfs Silva (6), Estonian Ace Salomon (4) and Lozère Team2raid (21), are trying to follow the pace imposed by the leading duo. They are currently progressing on the second trekking section, between TA3 and TA4, on the paths crossing the lava flows formed by the successive Piton de la Fournaise eruptions, including the spectacular 2007 lava flow. At the rear of the race, all teams completed the first section of trek and embarked on their packrafts. They are sailing down the three rivers of the second section. Except from the team Louves des 2 Alpes (63) who decided to take the cut*. The 100% female team is “cut” on a shorter itinerary: they will not complete the B section of packraft, between AT1 and AT2. 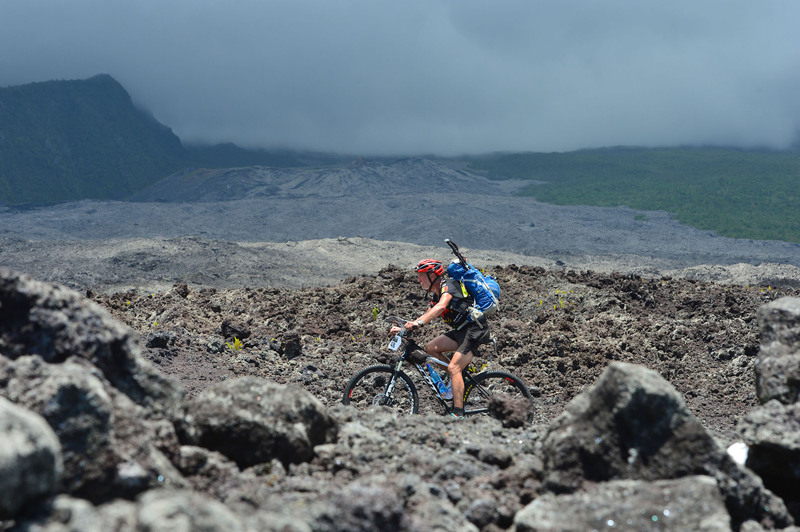 The four girls will go directly to the mountain bike section (41 km) through the sugar cane fields and the 1977 lava flow. * Cuts are time zones which allow to regulate the race and minimize the gaps between the front and back teams. Thus, if a team reaches some specific transition areas (AT) or check points (CP) after these cuts, it will be steered towards another CP/AT.